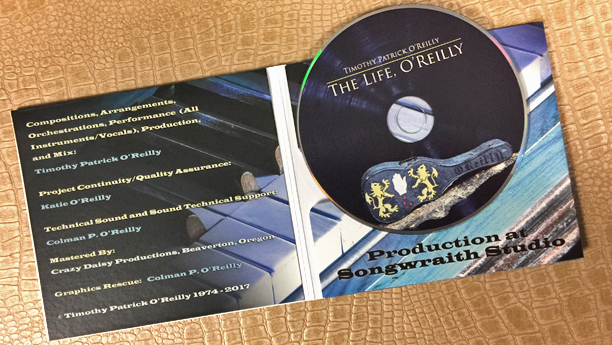 The Life, O’Reilly continues the foray into alternate folk, (and tunes with vocals), with influences of pop, jazz, and funk. The CD includes a tribute to homeless veterans (“The Drifter”), a tune that paraphrases some of the sayings/sentiments of James Mattis (“Le Jeux Sont Fait”), a smoky jazz club tune (“Another Shade of Blue”), and the title cut that is an upbeat reminder that we live the lives we have chosen. “Now and Then” is a retrospective, “what if” appraisal, highlighting questions that likely haunt us all. “The Drifter” became the soundtrack for a YouTube/Vimeo video and an excerpt from “Willow Song” is featured in a video discussion of synesthesia/chromesthesia (see “Videos & Extras” tab). 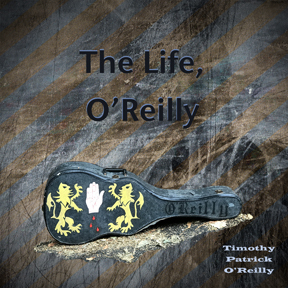 The Life, O’Reilly on iTunes!